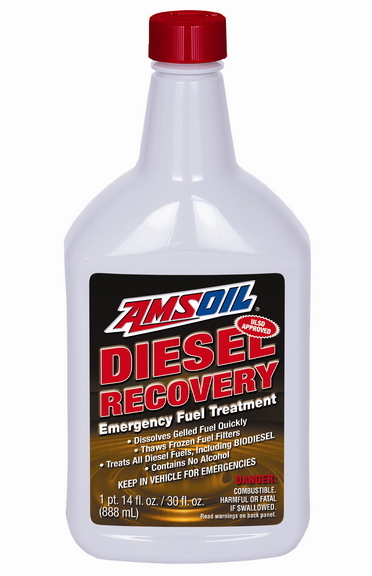 Diesel Recovery Emergency Fuel Treatment AMSOIL Diesel Recovery quickly dissolves gelled fuel, thaws frozen fuel filters and reduces the need for a new filter, saving both money and an inconvenient trip to a parts store. Performs well in all diesel fuels, including ULSD, off-road and biodiesel. Cheap insurance against frozen fuel. Net Fill: 30 Fl. Oz.